Williams College has one of the lowest student to faculty ratios in the country. The members of Williams College’s accomplished and diverse faculty are strongly committed to original research and artistic creation and to teaching undergraduates from a rich variety of backgrounds and experiences. They contribute to a vibrant liberal arts environment that values collegial exchange, interdisciplinary work, and pedagogical innovation. The Williams faculty is exceptionally large for a college of its size, producing one of the lowest student / faculty ratios in the country. 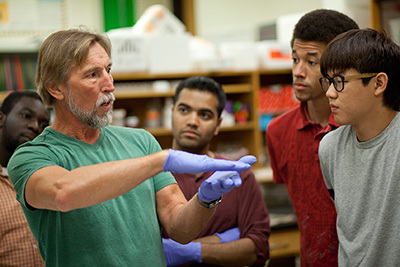 In accordance with its stated commitment to building and sustaining an intellectual culture in which all faculty, students and staff can thrive, the college appoints its outstanding scholars, artists, and teachers from broad, inclusive pools of candidates, and supports the work of new and continuing faculty through a range of programs and initiatives.